Denver, CO – The Atlantic League of Professional Baseball Clubs (“ALPB”) today announced The City of New Britain, Connecticut has been conditionally approved for play in the Atlantic League in the circuit's 2016 season. Final approval is subject to successful lease negotiations, sign off by the Mayor of the City of New Britain and the New Britain Common Council, and the Atlantic League Board of Directors. 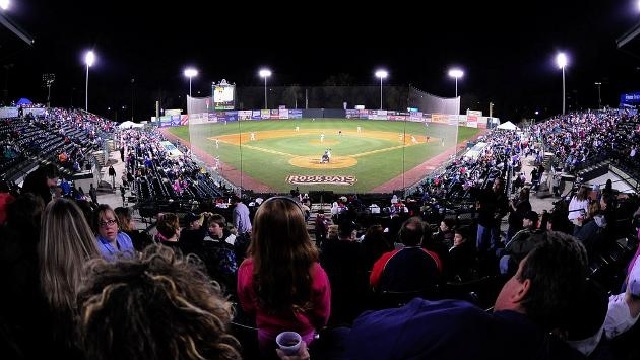 “We still have work to do but are very encouraged by our discussions with the City and the hearty reception Central Connecticut has given to keeping professional baseball in New Britain," said Atlantic League Founder Frank Boulton. "We look forward to continued progress and are hopeful this will happen in short order." Upon final approval, an existing or expansion Atlantic League team will succeed the outgoing Rock Cats at New Britain Stadium beginning next April. The Atlantic League is completing its 18th season of professional baseball and includes teams in New York, New Jersey, Connecticut, Pennsylvania, Maryland and Texas. Since beginning play, over 800 Atlantic League players have been signed by Major League Baseball organizations. "We are excited about New Britain's pending approval," said ALPB President Rick White. "We are making substantial progress and look forward to reaching a positive conclusion soon." The Atlantic League is considered the most innovative league in professional baseball, offers the highest level of minor league baseball playing skills, and is a player gateway to Major League Baseball. Its mission is to bring a high level of professional baseball and affordable family entertainment to select communities not presently being served by Major League or Minor League teams. ALPB players are highly experienced professionals, having progressed through professional baseball’s developmental levels (A, AA, AAA). Over 40% of all Atlantic League players have Major League service time. Like MLB, Atlantic League clubs pay their players to win baseball games, not to apprentice as in baseball’s developmental levels. The following teams play in the Atlantic League: Bridgeport Bluefish, Camden Riversharks, Lancaster Barnstormers, Long Island Ducks, Somerset Patriots, Southern Maryland Blue Crabs, Sugar Land Skeeters, and York Revolution.